In a pot or a tea kettle heat up your water and bring to a boil. Once the water comes to a boil, add in your tea bags and orange peel and remove from heat. Let the tea bags steep for about 2 hours or until water is at a warm/cool temperature. 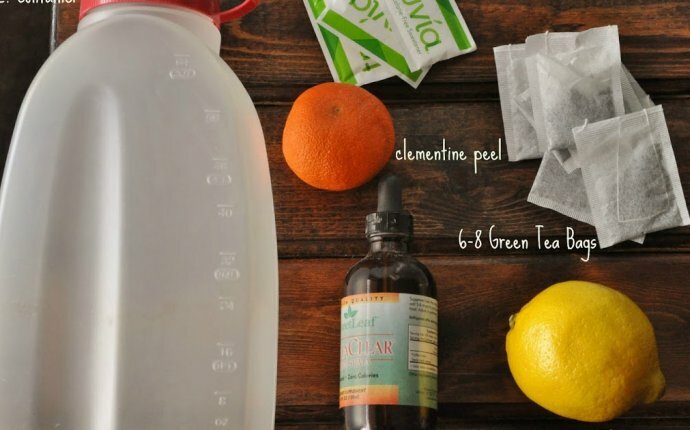 Remove tea bags and orange peel from your tea water and add in half of your tea water to a 32 oz. container. Then add in your Truvia, stevia, and lemon juice. Add the rest of your tea, shake your tea, and refrigerate.